A Learner driver reportedly lost control of her car this morning and ran over a motorcycle rider, breaking his legs in the process. 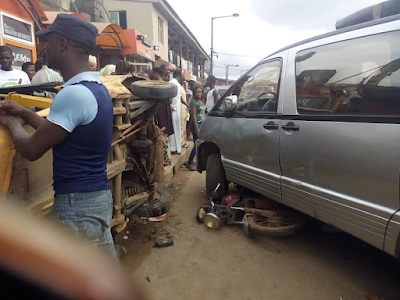 According to the LIB eyewitness who sent in these photos, the accident occurred at 9:06am today, along Liasu Road, Egbe, Lagos state. "A female learner driving a space bus, lost control and damaged both a Motorcycle and Tricycle (Keke Maruwa). 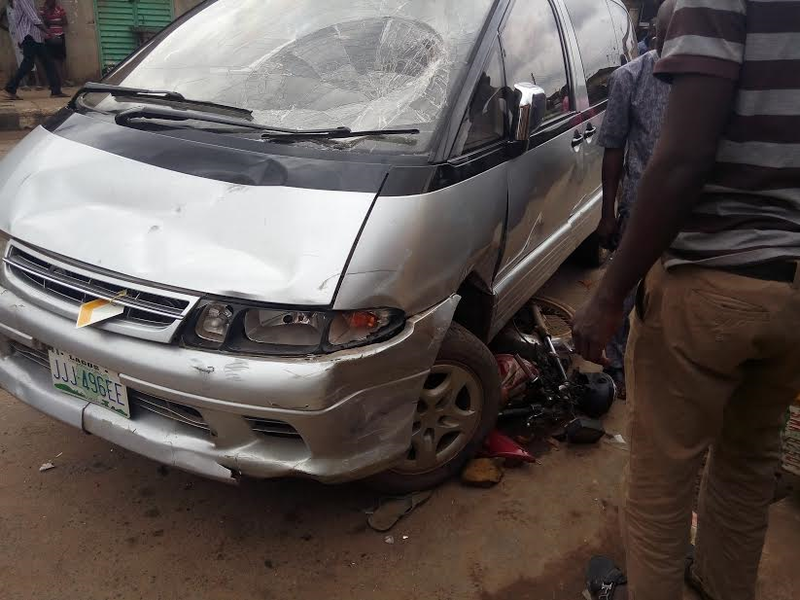 The Okada man was the only one who sustained serious injury. He had parked to drop his passenger when the learner driver lost control of her vehicle. While the passenger quickly jumped away, the Okada rider wasn't fast enough and got his legs broken, along with several other bruises. 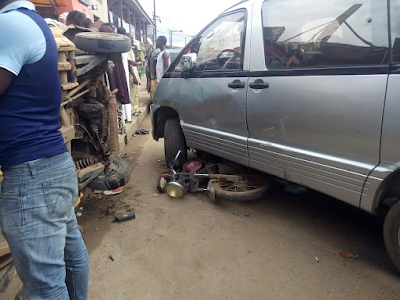 A Keke Maruwa rider, who had parked to look for change to give his passenger, was not spared as his trycicle was cleared out of the road and damaged. As at 9:30am when these pictures were taken, no law official had arrived to access the situation"